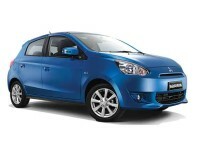 Are you in the market to lease a new Mitsubishi auto? Look no further than Auto Leasing NJ for everything you need in a Mitsubishi leasing company. We have the lowest monthly lease rates of anyone in New Jersey for every current model Mitsubishi, along with the widest selection of vehicles for your Mitsubishi auto lease, and by far the most convenient system for you to get your new Mitsubishi lease as quickly and painlessly as possible! The Mitsubishi Mirage sedan, the Outlander sport utility vehicle, and the Mirage hatchback (among others), Auto Leasing NJ has great Mitsubishi leasing deals on all of these vehicles! And you’ll love how convenient we make Mitsubishi leasing: everything is done online, and there’s no pressure, hassle or need to take time out of your schedule! Just give us a call to find out how economically you can lease a brand new, top-quality Mitsubishi automobile, or check our inventory page to select the car you want to lease! Our number is 609-830-0066, and don’t wait — call us today! 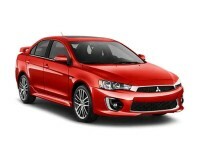 At Auto Leasing NJ, we’re proud of the incomparable selection of Mitsubishi autos that we can offer you for lease! Our selection can be so wide because, paradoxically, we don’t actually maintain a fleet of leasing automobiles. Instead, we use the close-knit relationships with Mitsubishi dealers that we’ve built up over years in the leasing business, and offer these dealerships’ stock of Mitsubishi vehicles as our leasing inventory! And by leaving behind the old-fashioned model of Mitsubishi auto leasing, we can provide you with the car that you want at monthly lease rates that others can’t touch! By not having physical offices, showrooms or car lots, we save on monthly rent and maintenance of the grounds, and by dispensing with a fleet of cars that we own, we save on the huge initial cost of establishing said fleet, as well as the cost of upkeep, vehicle replacement, as well as not having to upgrade our fleet with every model year. And all of these savings are reflected in the lease rates we offer on every single Mitsubishi lease! That’s why you won’t find a better price or a better selection anywhere in the state of New Jersey! 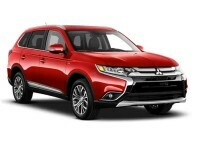 Visit our Mitsubishi inventory page to get a quote on your dream vehicle, or call us directly at 609-830-0066 right now! So we’ve covered price and selection — now how about how Auto Leasing NJ makes it incredibly convenient and easy to lease a top-quality Mitsubishi automobile? Since every step of a Mitsubishi car lease is completed online, you never have to leave your home or office to get a great deal on Mitsubishi car leasing from Auto Leasing NJ! Vehicle selection (including the Lancer, the i-MiEV, Outlander Sport and Mirage G4) is the first step, followed by completing the application form, then when you accept the terms of your lease and specify where the vehicle is to be delivered, you’re almost done. The car you’ve chosen will be delivered straight to your door, and once you sign off on the final papers, congratulations! The vehicle is yours for the length of your lease! Look at our Mitsubishi page for a quote on the car you want, or call 609-830-0066 to speak to one of our sales professionals today!